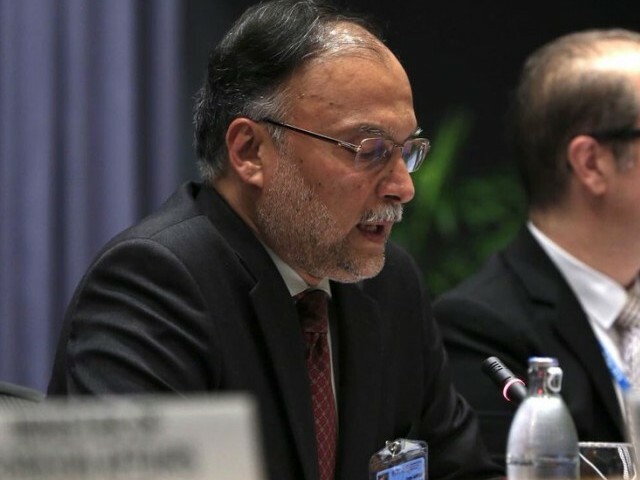 BEIJING: The China-Pakistan Economic Corridor (CPEC) is the most important pillar of the Belt and Road Initiative and due to commitment and sincerity from both Pakistan and China the vision of CPEC is fast translating into reality, said Minister for Planning, Development and Reform Ahsan Iqbal. During a meeting with National Development Reforms Commission (NDRC) Vice Chairman Ning Jizhe, he said work on CPEC projects had seen positive progress over the past five years in Pakistan. Pakistan has achieved 5.8% GDP growth rate, which is highest in the last 12 years and growing. “We have almost overcome the energy crisis, which was daunting our economy,” said Iqbal. The minister said the operationalisation of energy projects in Sahiwal and Port Qasim is a testament of the high speed with which CPEC projects have been completed. Iqbal apprised the NDRC official about other CPEC projects including in the fields of infrastructure, energy, Gwadar and Special Economic Zones. He emphasised fast completion of Gwadar projects, particularly five million gallon per day water desalination plant and early approval of Khuzdar-Basima and D I Khan-Zhob-Quetta highway projects. He proposed that the Joint Working Groups of CPEC in energy, infrastructure, planning, and agriculture should meet next month to fast-track approval of the projects. In the wake of the emerging fourth industrial revolution, the minister called for cooperation in the field of digital economy and proposed to establish a new Joint Working Group for it. The Chinese side appreciated the idea and agreed in principle. It was decided that cooperation in agriculture sector would be expanded in the light of Long Term Plan to boost agricultural productivity of Pakistan. He also underscored the need for greater procurement from local market, wherever competitive goods and services were available in Pakistan, the vice chairman agreed with the proposal.